Joyous Narratives through Generous Play! Performing on Wednesday, June 1st 2016 at 9:00pm. Bait & Switch is a three-man duo featuring Chris Simpson, Charlie Santos, and accompanist Tyler Brown. We tell unconventional stories through unconventional means. 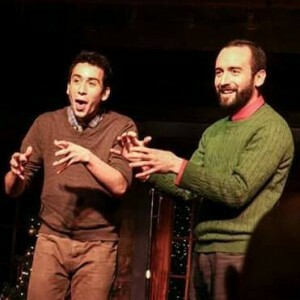 With deep Johnstonian roots and a strongly theatrical sensibility, we deploy our storytelling tactics to evoke a range of emotional responses, always filtered through the lens of truly joyful improvisation.